Boeing (NYSE: BA) will divide the network and space systems and military aircraft segments within its defense, space and security business unit into four smaller entities in a move that will take effect July 1. Leanne Caret, CEO of Boeing BDS, said Tuesday the reorganization is part of the company’s efforts to ramp up the competitiveness and agility of its business in response to clients’ needs. The four smaller units include autonomous systems, space and missile systems, strike, surveillance and mobility and vertical lift. Chris Raymond will oversee the autonomous systems unit that includes Boeing’s Insitu and Liquid Robotics subsidiaries, electronic and information systems and Echo Voyager maritime vehicles. Jim Chilton will lead the space and missile systems entity that covers the International Space Station, Boeing’s share of the United Launch Alliance joint venture with Lockheed Martin (NYSE: LMT) as well as ground-based strategic deterrent and midcourse defense systems. 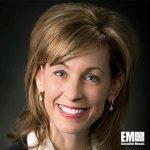 Shelley Lavender will manage the strike, surveillance and mobility unit that covers Boeing’s F/A-18 and F-15 fighter jets, Joint Surveillance Target Attack Radar System and P-8 maritime patrol aircraft. David Koopersmith will handle the vertical lift business that includes V-22 Osprey tilt rotor aircraft as well as CH-47 Chinook, AH-6i and AH-64 Apache helicopters. Raymond, Koopersmith, Lavender and Chilton will directly report to Caret, who became CEO of BDS segment in February 2016. Boeing said the restructuring will result in the reduction of up to 50 executive positions. Boeing’s Phantom Works business as well as global operations and development segments that report to Caret will remain unchanged. The announcement came six months after Boeing moved its BDS segment from the St. Louis area to its office in Arlington, Virginia.